If your MyGig hard drive has failed or the data is corrupt, a pre-loaded SSD or Hard Drive is the easiest repair available. Automotive Grade hard drives. It won't seize in extreme cold. More Space This SSD has 60% more space than your original drive and the music menus are faster. This SSD drive is recommended for cold climates. If your MyGig hard drive has failed or the data is corrupt, a pre-loaded MyGig RHB replacement hard drive in a new Standard Duty or Automotive Duty configuration. Cold Climate ? A Standard Duty drive may not spin up below 10℉. An SSD is recommended for very cold climates. 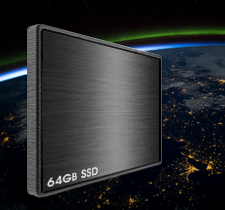 40GB Hard Drive for Moderate Climates - Read about using a Standard Duty drive. MyGig OEM configuration on a new 40GB standard duty hard drive. May not Spin-Up below 10℉. See drives for cold climates below. MyGig OEM configuration on a new 40GB Automotive Duty hard drive. Designed for cold temperature operation Rated down to - 22℉ (-30℃). ALERT If your system is rebooting or freezing or crashing, check this System-Test before ordering a new MyGig Hard Drive. Before your order an HDD or SSD: Check the list of hard drive related problems below to determine if your MyGig problem is caused by your current hard drive. If you have one or more of these problems, DO NOT attempt to install a Software Update. If the Update sequence crashes when it tries to write data on the hard drive, it often causes permanent corruption in your firmware. This may leave your system in an endless reboot or with other problems that require a major repair or the replacement of your RBZ system. can return the drive and tools within 30 days for a refund minus a $38 USD return fee. 1 Year Exchange for a defective SSD drive. 1 Year Exchange for a defective Hard Drive. Occasionally MyGig Software Updates and Gracenote Updates create issues with the system firmware. As a no-charge courtesy, MYGIG-DISK.COM provides Downloads of Software updates released by FCA US LLC. We are not responsible for problems that may arise from the installation or the failed installation of MyGig Software updates.